Novark began to create its products in 2004, and has over a decade of experience and technical knowledge in successfully bringing design to reality. To accomplish this, Novark makes use of thermal simulation software and quick-response prototyping to validate a design and minimize wasted material. Novark then uses a variety of manufacturing methods to produce the validated design, some of which feature custom-built machinery. 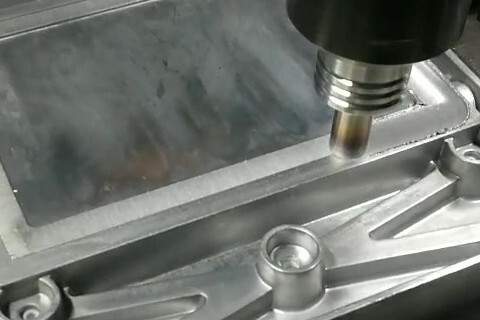 Once the prototypes are finalized and approved, Novark uses a variety of manufacturing techniques and testing methods for efficient production. Novark uses brazing, sintering, stamping, press-fitting, and various machining and tooling methods in its manufacturing processes. Novark also assembles the completed thermal module, and custom designs the packaging for shipment to the customer. Sintering is the process of creating a porous mass of material using heat or pressure that is applied to its powdered form, without melting the material. 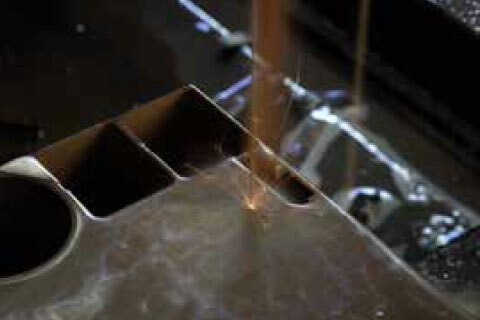 For almost all metals, the use of a protective gas is required when sintering at atmospheric pressure. The advantage of sintering is that a structure of uniform porosity and high mechanical strength is created. The stability of the manufacturing process is much higher due to the control of the grain size of the powder. Novark uses pressure-less Constant-Rate of Heating (CRH) and Two-Step Sintering (TSS) methods at experimentally-determined optimum temperatures for its sintered products. Novark uses a mandrel to pack the copper powder into the heat pipe tube, or uses glue that evaporates during the sintering process to adhere the copper powder to the walls of Novark’s vapor chambers and heat columns prior to sintering. 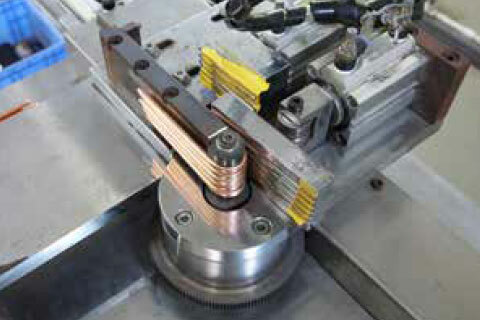 Novark uses a stamping press to create its interlock-fin heat sinks. A sheet of aluminum or copper is fed into the machine from a roll of material, which is progressively stamped into the final fin shape. The stamping process requires multiple dies that bring out the detail of the fin shape as the metal sheet moves through the stamping press; the more detailed the fin shape, the more dies are needed to shape the fin. This process creates low-cost and lightweight heat sink fins that can then be press-fit and soldered onto heat pipes or bonded to a thermal module base via soldering. 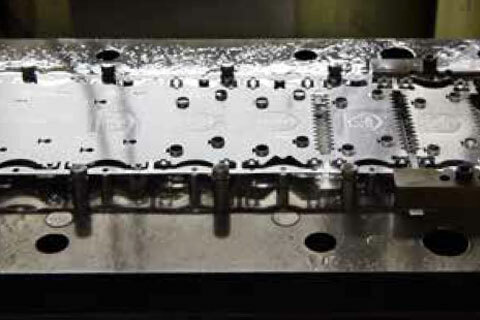 Novark uses hydraulic presses to press-fit its products as an intermediate step in many of its manufacturing processes, from the creation of interlock heat sinks to the embedding of tubes to make cold plates. Novark custom-builds the dies and support structure for the bending and flattening hydraulic presses it employs in its manufacturing methods for its heat pipe products. Brazing is a process that joins multiple metal items together. This is done by melting a filler metal with a lower melting point into the joint via capillary action. This process differs from welding, as the joined pieces are not melted, and differs from soldering by using a higher temperature and much more close-fitting parts. Brazing’s main strength is its ability to join dissimilar metals with a very high bond strength. For most types of brazing, a flux is required to shield the brazing process from the atmosphere and prevent oxides from forming in the filler metal; for vacuum brazing, the atmosphere is evacuated in a vacuum chamber before the brazing is begun, so flux is not required. 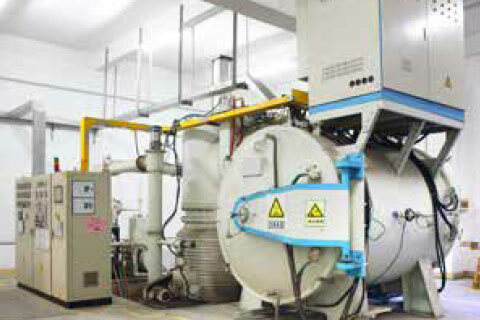 Novark uses a vacuum chamber for its vacuum-brazing procedures. 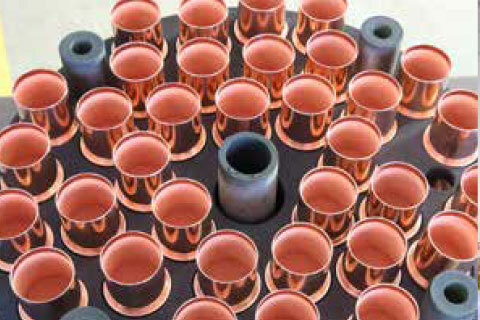 Once a batch of vacuum-brazing joints is in the vacuum chamber and the atmosphere is evacuated, heat is transferred to the joints via radiation. While this process is expensive, the resulting joint is extremely clean and has high joint integrity and strength. Due to the radiative transfer of heat, the pieces are uniformly heated via slower heating and cooling cycles, which greatly reduces residual stresses that would normally occur in metal-joining processes, and improves the thermal and mechanical properties of the joint. Unlike other welding procedures that use intense heat to melt metal to create a joint between metal pieces, Friction Stir Welding (FSW) generates heat through friction between a high-speed rotating and translating tool and the metal parts to be joined. This heat causes the metals to soften and severely deform in the joint seam, allowing them to be mechanically mixed to form a strong bond after cooling. The tool advancing along the weld line leaves behind a distinctive circular pattern in the “stir zone” of the finished weld. There are numerous advantages to friction stir welding: no toxic fumes or molten splatter, no need for a weld pool and there are almost zero limitations to the orientation of the welding. Since the metals are not melted, only deformed under high heat, less energy is required to perform this procedure, resulting in cost savings on power consumption. 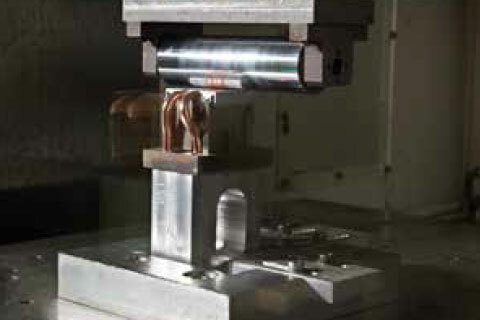 Thinner materials can be welded with friction stir welding than with other welding procedures, and one well-designed friction stir welding tool can easily last for hundreds of welds, which combined with automated machinery allow for increased productivity at a lower operating cost than with other weld procedures. Novark has developed basic in-house friction stir welding capabilities and works with renowned friction stir welding suppliers to ensure all the requirements of this modern welding procedure are met. Novark employs CNC machines to mill, lathe, and fly-cut materials. Novark uses these machines to create the pressing/bending/flattening/stamping dies and satisfy specific flatness requirements for interfaces. 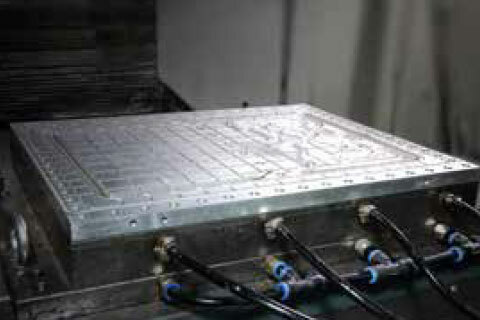 Novark also uses wire-cut EDM machines as part of its in-house tooling capacity. Novark has the manpower and the materials necessary to mass-produce its custom-built thermal module assemblies. Various soldering techniques and assembly methods are utilized to put the various products together in a quick and efficient manner. Novark also works closely with suppliers to ensure high-quality materials are used in the assembly process.